While many countries struggle to get rid of household waste, Norway cannot get enough of it - to run its waste-to-energy incinerator plants. 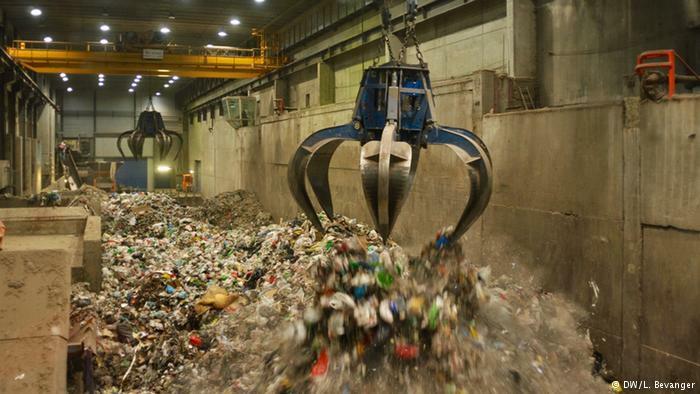 Oslo even has to import waste, and is blaming Sweden for its problems. DW.com 23. November 2015: You would have thought running out of rubbish would be a blessing rather than a curse. Yet in Norway, the lack of waste is becoming a major headache for the waste management business. 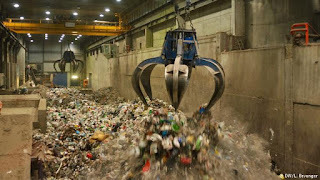 Since a 2009 ban on landfills, the country has invested in modern waste-to-energy incineration plants with enormous capacity for burning waste and creating heat energy which is fed to private houses and businesses. Peering into a giant oven burning waste at between 850 and 1,000 degrees Celsius, Jannicke Gerner Bjerkås from Oslo's waste-to-energy agency explains how the Klemetsrud incineration plant now turns people's rubbish into heat for their homes in the capital. "The heat from the incineration is used to heat water, and the water is sent off to the district..."read on.